Change the size of the circle. 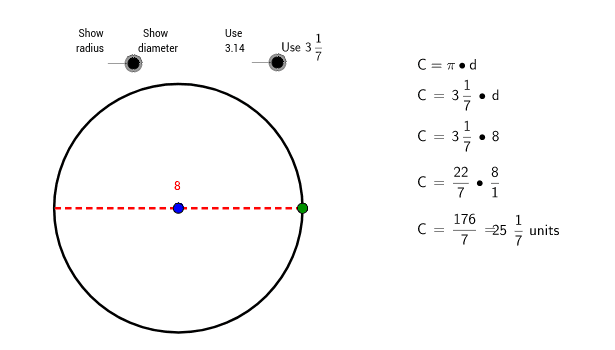 Observe the steps on the right that show how to calculate the circumference of the circle. Experiment by changing the radius vs. diameter or 3.14 and 3 1/7.